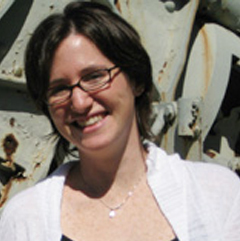 Keren Fraiman is a Ph.D. candidate in political science at MIT and a member of the Center’s Security Studies Program. Her dissertation research focuses on coercion and violent non-state actors. Al-Qaeda in the Arabian Peninsula’s (AQAP’s) failed attempt to destroy a commercial airliner on Christmas Day has thrust Yemen back into the world spotlight as an important base for jihadist terrorist activity. The bomber, Umar Farouk Abdulmutallab, apparently received operational guidance in Yemen shortly beforehand, and AQAP leaders there have since claimed responsibility for the attack. Following this incident, Secretary of State Hillary Clinton proclaimed that "Yemen must take ownership of the challenges it faces, and of its internal affairs," once again echoing the preferred U.S. policy of states taking control of extremists based within their own borders.1 This statement is consistent with current U.S. policy toward Pakistan and more broadly with the 2006 National Strategy for Combating Terrorism, which declared that the United States "[focus] on the responsibilities of all states to fulfill their obligations to combat terrorism both within their borders and internationally…[and] when states prove reluctant or unwilling to meet their international obligations…the United States…will take appropriate steps to convince them to change their policies. "2 For many reasons, it is very difficult for states that are targets of terrorist attacks to confront the perpetrators in another state’s sovereign territory.3 Rather, it is the base state, the state in which the violent group resides, that is often best positioned to address the threat directly.4 Therefore, U.S. policy has increasingly placed the onus of eliminating safe havens on the base states themselves. Despite this policy, there is not a clear analytical framework to understand the conditions under which base states are more likely to comply with these external demands. In this piece, I address some common misconceptions regarding the ability and willingness of base states to deal with threats that emanate from their own backyards. I then propose a framework for understanding the complex relationship between the base state and the violent group, and delineate a set of factors that can be used to forecast when base state action against such groups is more or less likely. Ultimately, this model will enable policymakers to assess the likely efficacy of a policy that places the burden of action on the base state. Scholars and policymakers offer two explanations for base state behavior: either the base state is a weak or failed or it is a passive or active sponsor of terrorism. Underlying these explanations are some misguided assumptions about why base states allow violent groups to organize, train, recruit, and often act from within their borders. Furthermore, this overly simplistic lens does not provide for a full examination of the phenomenon of basing and can lead to flawed policies. Scholars often simultaneously assert the importance of the base state, but assume that because the state is weak or failed, it is not within its capacity to act.5 These scholars and policymakers correctly highlight that when states become weak, non-state actors "can take opportunistic advantage of a deteriorating internal security situation to mobilize adherents, train insurgents, gain control of resources, launder funds, purchase arms, and ready themselves for assault on world order. "6 However, such assertions appear to be overstated, as history has repeatedly demonstrated that even ostensibly weak base states often demonstrate a remarkable capacity to act against violent groups when they deem it necessary. For example, Jordan mustered its comparatively limited capabilities to address the fedayeen in the 1950s and then again in the 1970s.7 More recently, the Pakistani military offensive in the Swat valley once again demonstrated, to the surprise of many, that there existed latent capabilities that could be used effectively when acting against the Taliban and Al-Qaeda became a national priority. While in some instances, states are in fact too weak to contain or eliminate the violent groups, it is often the case that the inaction is driven by will and unspoken priorities rather than capabilities. In cases in which state weakness has not been inferred, scholars and policymakers tend to invoke either active or passive sponsorship of terrorism to explain the permissive behavior of the base states. The focus tends to be on the way in which states can aid terrorist groups, such as through financial support, training, recruitment, and basing. The basic assumption is that this relationship is static and that the support for the group is unwavering. However, not all base states offer this kind of strategic support or alliance with the groups. Thus, this characterization does not capture the variation and nuance inherent in base state support. Additionally, even in cases where strategic support exists, the sponsorship can vary dramatically over time. States have abandoned these relationships in the past when they no longer suited their needs. For example, Egypt initially actively supported fedayeenactivity in the 1950s, but following the 1956 war, generally withdrew their support and curtailed the fedayeen’s freedom of action. Ultimately, using this dichotomous lens does not enable one to fully understand the phenomenon at play and unnecessarily attributes limitations to the array of choices available to base states. While state weakness and sponsorship are certainly important factors to consider, in and of themselves, they do not represent the universe of cases and are not sufficient in explaining the variation of base state responses to violent groups. Understanding why some base states act forcefully against violent groups requires a more complex understanding of the political relationship between the state and the group, and the costs and benefits associated with this relationship. To explain base state action, I provide a cost-benefit framework based on three central factors that define the relationship between the state and the violent group; the framework also assesses the general level of difficulty associated with acting against the group. I have identified three primary factors that highlight the interaction and interdependence between the group and the state, and capture the mechanism by which costs can be inflicted on the base state via this political relationship: grand strategic goals, regime threat, and popular legitimacy. The purpose of examining these issues is to unpack the black box of costs that the base state would incur in order to change its relationship with a particular group. The willingness of the state to act against the violent group is primarily a function of the cost associated with acting against the group within these three categories of the relationship. Ceteris Paribus, the lower the costs associated with acting against the violent group across the categories, the greater the likelihood that the state will alter the status quo. In examining these key categories, policymakers can ask several key questions that highlight the level of cost associated with acting against the group. Grand Strategic Goals: To what extent do the base state and the violent group share goals with respect to the United States, or the third party? Do they have a shared "enemy"? Are their grand strategic foreign policy goals generally aligned or are there significant differences? Through their actions, the violent group is actively pursuing a foreign policy against another state. The base state may or may not share these often ambitious foreign policy goals. When they do share them, the state may view the violent group as a cheaper means by which to pursue their strategic goals. Alternatively, the violent group may be damaging their relations with the coercing state or more broadly, their goals within the international system. Regime Threat: Does the violent group pose a threat to the regime? Did the group originally form in opposition to the state? Or alternatively, does the regime benefit from the presence or support of the violent group? What is the relative balance of power between the base state and the violent group? What is the source (local or external) of power for the violent group? While in theory all armed groups within a state present some threat to the regime, there can be a remarkable degree of variation in the level of threat posed. For example, for some groups, control of the base state is an explicit policy goal and therefore the threat is high. For others, the base state serves merely as a residence and the local politics are not of great interest to them; rather, their aspirations appear to be directed at the external actor. Additionally, the balance of power between the group and the state can vary greatly, making it more or less costly for the state to act. Furthermore, the source of the group’s power can also affect the ease with which the state can cut off or alter its power supply. Popular Legitimacy: Is the group indigenous to the state or an implant? What is the relationship of the population to the group? Does the group have popular legitimacy with the population? Was it formed as a national/popular liberation movement? Here, popular legitimacy refers to the legitimacy of the group among a significant portion of the population. Popular legitimacy can be achieved by belonging to a local ethnic group, being involved in a popular liberation movement, or providing basic goods and services, among others. Legitimacy amongst the citizenry makes action against the group more difficult as it will likely embroil the population. This popular support can significantly constrain the actions of the government against the group and make it more costly for significant action. The more popular legitimacy the violent group possesses, the more difficult it will be for the state to act against the group. Different political relationships between the base state and the violent group would invariably present different costs and therefore levels of difficulty and probabilities of success associated with action. Understanding the areas of greatest costs and challenge enable policies that are crafted carefully to work within these limitations and have realistic expectations of base state action. This framework redirects an analysis of the base state’s costs towards a more nuanced assessment of the relationship between the state and the group. It is essential to understand that the costs associated with acting for the base state are driven by a distinct set of factors that may or may not coincide with the interests of the state that has been targeted by a particular violent group. Specifically, the threat of external terrorist attacks may factor into the calculations of the base state, but the combination of aforementioned internal domestic factors that dominate the cost and benefits of this relationship are more likely to affect the state and motivate its actions. For example, it is not sufficient to measure the threat that is posed by AQAP to the United States and extrapolate the level of urgency for Yemen. Instead, it is useful to understand the changing dynamics among the strategic goals of AQAP and Yemen, AQAP’s ability and desire to threaten the Yemeni regime, and the popular sentiment towards Al-Qaeda and the government among the populace. These dynamics are more likely to shed light on Yemen’s willingness and ability to act. One needs to be sensitive to the significant internal costs that are necessary to successfully change the status quo, while at the same time not underestimating a state’s capacity for change. Additionally, understanding the different aspects of the relationship and their costs not only helps to explain the conditions under which states are likely to act, but also how to alter the state’s calculations. Specifically, unpacking this complex relationship enables an external actor to better craft both the carrots and sticks used to alter the base state’s calculations. Whether calculating a costly coercive action or a positive inducement, the external actor needs to consider the costs that the base state will need to incur to change the status quo with respect to the violent group. External actors can affect the calculus for a base state, but the success of this action is dependent on a broader set of factors beyond the immediate crisis. The U.S. has launched major cooperative initiatives with both Yemen and Pakistan, but at the same time has expressed a healthy skepticism about their reform efforts to date. While training and assistance may help these countries bear the costs of action, understanding the domestic complexities may enable the U.S. to better understand the internal challenges associated with acting and thus create realistic expectations of the base state. Understanding what motivates states to act against groups and how to affect that calculus is fundamental for eliminating current and future safe havens. This framework can provide policymakers with a more nuanced approach to understanding the complexities that define a base state situation and help avoid possible pitfalls that can result in a strengthening of the group. 1 Paul Richter, "Hillary Clinton Urges Yemen to 'Take Ownership' of Its Problems," inLos Angeles Times (Los Angeles: January 27, 2010). 2 National Security Council (U.S.), National Strategy for Combating Terrorism(National Security Council, 2006 [cited); available from http://purl.access.gpo.gov/GPO/LPS74421. p. 17. Secretary of State Condoleezza Rice reiterated this position most recently stating that "it is vital to our national security that states be willing and able to meet the full range of their sovereign responsibilities, both beyond their borders and within them." Condoleezza Rice, "Rethinking the National Interest," Foreign Affairs 87, no. 4 (2008). 3 Challenges include, but are not limited to: the elusiveness and lack of clear address for the violent group, lack of knowledge of terrain and population, general challenges for violating sovereignty and acting militarily abroad, among others. For more on this see: Paul K. Davis and Brian Michael Jenkins, "Deterrence & Influence in Counterterrorism: A Component in the War on Al Qaeda," ed. Rand Corporation. National Security Research Division. (Santa Monica: RAND, 2002); James H. Lebovic, Deterring International Terrorism and Rogue States : US National Security Policy after 9/11, Contemporary Security Studies (London ; New York: Routledge, 2007); Jeremy Pressman, "Rethinking Transnational Counterterrorism: Beyond a National Framework," Washington Quarterly 30, no. 4 (2007), Robert F. Trager and Dessislava P. Zagorcheva, "Deterring Terrorism: It Can Be Done," International Security 30, no. 3 (2006); and Daniel Whiteneck, "Deterring Terrorists: Thoughts on a Framework,"Washington Quarterly 28, no. 3 (2005). 4 Base states are often referred to as safe havens or host states in the literature. I purposefully use the term base states since the other designations imply a certain level of safety, protection, or amicable relationship between the state and the violent group. Base state is a more neutral and descriptive term. 5 These findings can be found in the literature regarding how to best address failed states and the dangers they present by providing havens for terrorists and other unsavory groups. In fact, it may be the case that truly failed states are not ideal for violent groups because they are too unstable and generally lack infrastructure and the provision of basic goods. Robert I. Rotberg, State Failure and State Weakness in a Time of Terror (Cambridge, Mass. Washington, D.C.: World Peace Foundation ; Brookings Institution Press, 2003); Robert I. Rotberg, When States Fail: Causes and Consequences (Princeton, N.J.: Princeton University Press, 2004). 6 Robert Rotberg, "Nation-State Failure: A Recurring Phenomenon?," in National Intelligence Council 2020 Project (Washington D.C.: 2003). 7 Jordan, which by some accounts was a weak state, chose to increase border patrols and reduce fedayeen infiltrations in the 1950s and ultimately expelled thefedayeen from their territory in the 1970s, despite their limited resources. Jonathan Shimshoni, Israel and Conventional Deterrence: Border Warfare from 1953 to 1970(Cornell Studies in Security Affairs, Ithaca: Cornell University Press, 1988).